Découvrez nos créations de fiches et grilles pour la broderie au point de croix à télécharger sur les thèmes Enfance, Animaux, Belles Lettres et Samplers. Ces créations originales sont réalisées et fabriquées en France par une dessinatrice et créatrice française. Partez à la découverte de grilles pour la broderie avec des modèles téléchargeables au format pdf.Nous vous proposons des articles uniques et avec une grande originalité et un style propre aux créations Le Boudoir Brodé. Retrouvez aussi nos kits de broderie originaux. 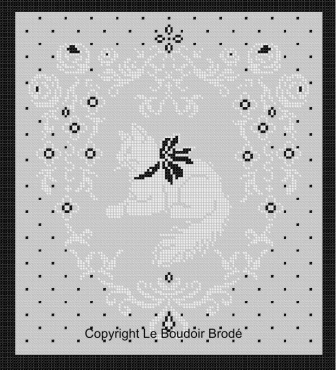 Cross stitch pattern downloadable pdf. White cat with bow and ribbon, retro frame. 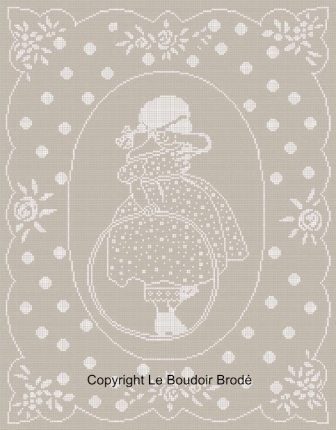 Cross stitch chart - download pdf. 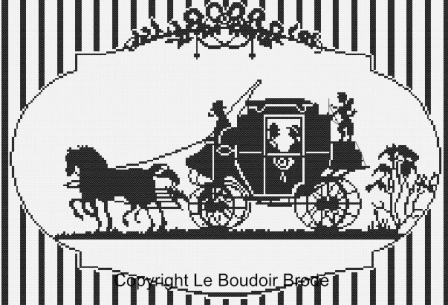 Carriage's silhouette, in past century. Pretty with stripes vintage frame. Monochrom design. 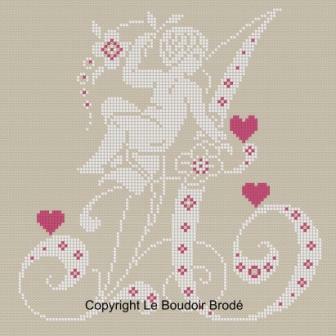 Cross stitch chart download. 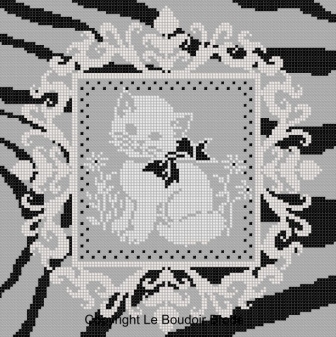 Cute kitten with nice black and white bow, retro white frame with zebra background. 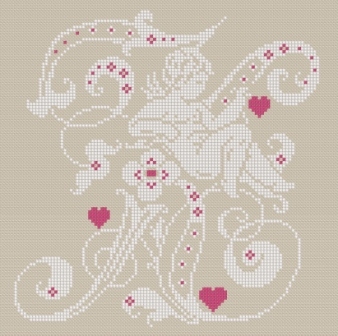 Cross stitch pattern downloadable. Three cute kittens in a basket, with satin stitch. 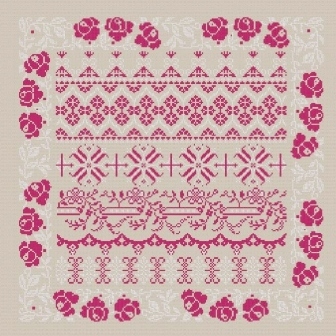 Sampler white and red with retro elements, with a roses border. 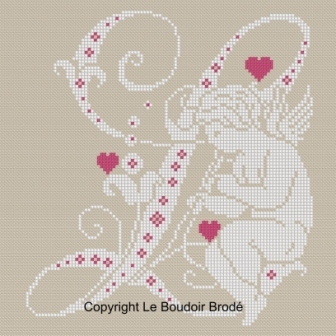 Cross stitch chart download. Le petit Louis - The little boy "Louis"
Little boy 1900. Frame retro with satin stitch and flowers. 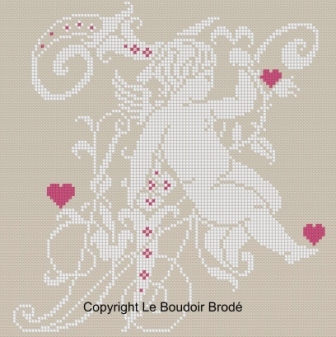 Cross stitch chart download. 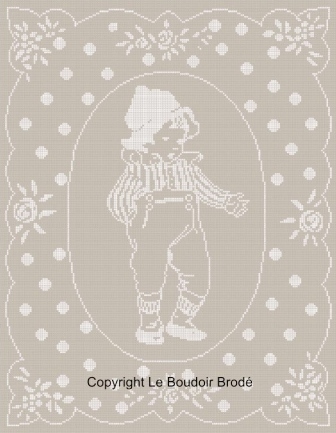 The little girl "Louise"
Cross stitch chart - download. Retro pretty girl playing with her hoop in 1900. Delicate and cute frame, satin stitch and roses. 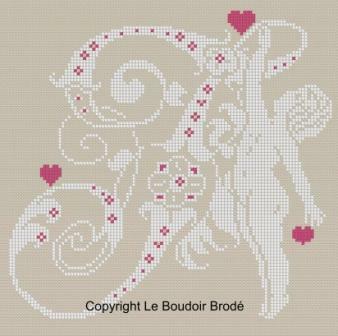 Downloadable cross stitch pattern, pdf. Monogram A and Angel. Nice and delicate Initial A and cherub. Dark pink and white harmony. Fabric : linen, aida or evenweave flax or light grey for a beautiful embroidered effect. 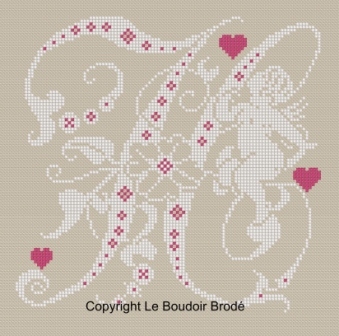 Downloadable cross stitch pattern, pdf. Monogram B, Angel and hearts. 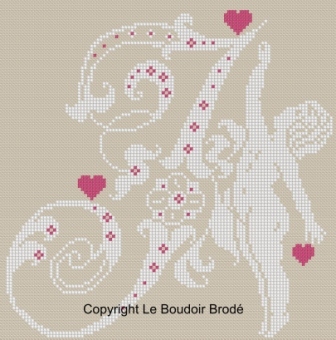 Nice and delicate Initial B with cherub and 3 hearts. 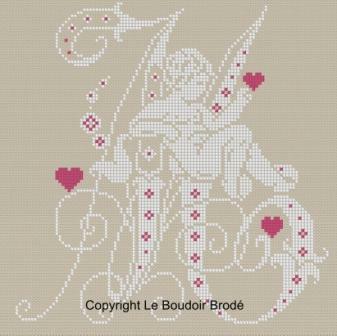 Downloadable cross stitch pattern, pdf. Monogram C, Angel and hearts. Nice and delicate Initial C with cherub and 3 hearts. 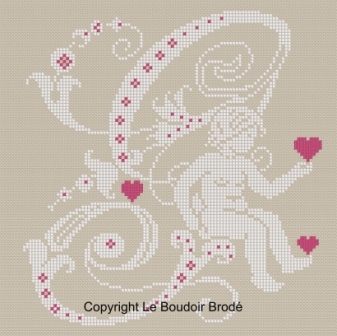 Downloadable cross stitch pattern, pdf. Monogram D, Angel and hearts. Nice and delicate Initial D with cherub and 3 hearts. Downloadable cross stitch pattern, pdf. Monogram E, Angel and hearts. Nice and delicate Initial E with cherub and 3 hearts. Downloadable cross stitch pattern, pdf. Monogram F, Angel and hearts. Nice and delicate Initial F with cherub and 3 hearts. Downloadable cross stitch pattern, pdf. Monogram G, Angel and hearts. Nice and delicate Initial G with cherub and 3 hearts. Downloadable cross stitch pattern, pdf. Monogram H, Angel and hearts. Nice and delicate Initial H with cherub and 3 hearts. 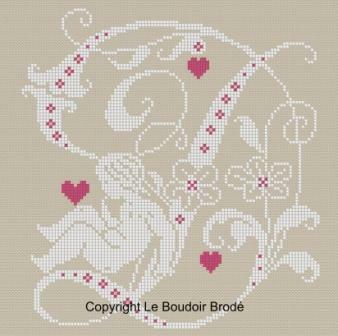 Downloadable cross stitch pattern, pdf. Monogram I, Angel and hearts. 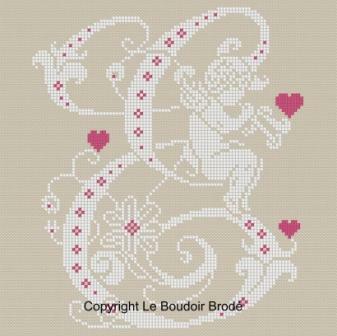 Nice and delicate Initial I with cherub and 3 hearts. Downloadable cross stitch pattern, pdf. Monogram J, Angel and hearts. Nice and delicate Initial J with cherub and 3 hearts. Downloadable cross stitch pattern, pdf. Monogram K, Angel and hearts. Nice and delicate Initial K with cherub and 3 hearts. 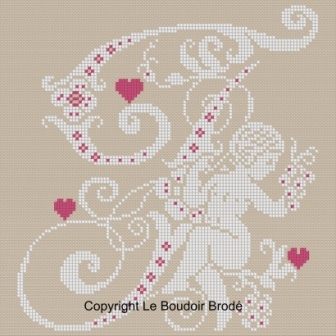 Downloadable cross stitch pattern, pdf. Monogram L, Angel and hearts. Nice and delicate Initial L with cherub and 3 hearts. Downloadable cross stitch pattern, pdf. Monogram M, Angel and hearts. Nice and delicate Initial M with cherub and 3 hearts. 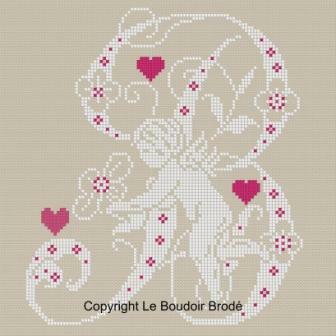 Downloadable cross stitch pattern, pdf. Monogram N, Angel and hearts. 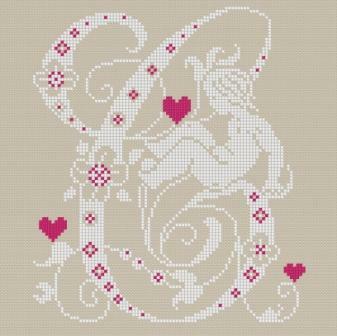 Nice and delicate Initial N with cherub and 3 hearts.